Parveen Talpur is an independent writer, historian and archaeologist. She also has the distinction of being the first Pakistani woman to venture independently in the field of archaeology. Talpur had been a visiting scholar at Cornell University, New York where she worked on the decipherment of ancient cryptic symbols discovered from Indus Valley Civilization. The results of her research were first published in Wisconsin Archaeological Reports Vol. 3, 1994. 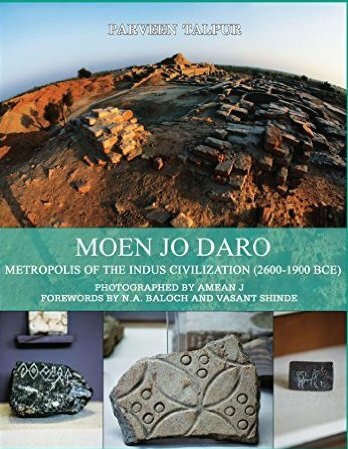 Later they were published as a book 'Evidence of Geometry in Indus Valley Civilization 2500-1500 B.C.' (Institute of Sindhology, Sindh University, Jamshoro. 1995). Her second project at Cornell was on British colonization of Sindh. This resulted in the publication of her book 'Talpur Rule in Sindh' (Ferozsons. Lahore, 2002). Talpur has also published a book of verse 'Footnotes' (Ferozsons, 2006). Apart from short stories, poems, essays and a large number of feature articles in Pakistani and American newspapers and magazines.